The Vision of the National Society for Experiential Education is the establishment of effective methods of experiential education as fundamental to the development of the knowledge, skills and attitudes that empower learners and promote the common good. The mission of the NSEE is to cultivate educators who effectively use experiential education as an integral part of personal, professional, civic and global learning. 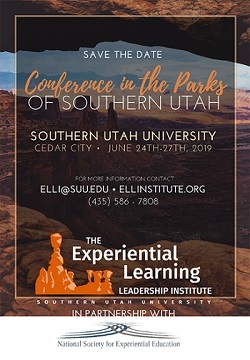 This focus area includes the organizational functions, products and services that cultivate members’ growth and leadership through increased understanding, awareness, knowledge, skills and attitudes related to experiential education. This broad focus area includes the development of work that advances theoretical and practical knowledge (practices, innovations, etc.) and includes the dissemination of work through presentations, publications, and other activities.